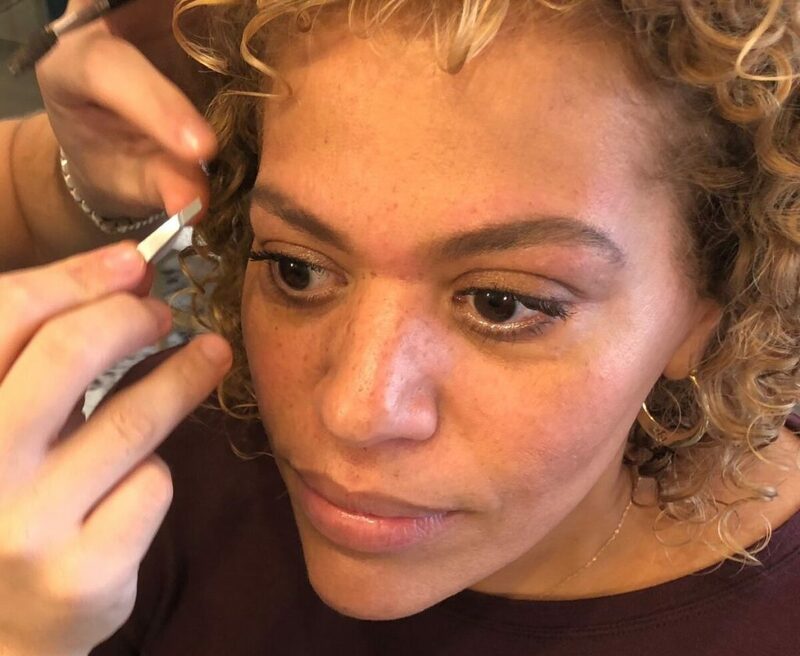 It is truly amazing what a well groomed brow can do for your face, especially if you are someone who doesn’t like to wear much makeup… it’s the perfect way to frame that fresh face, great skin look. For years I would get my brows done at my nail salon, and they would do what I thought was a good job…but I would need to go every week to keep them clean, and after a while they would start to look thin or misshapen. The wax would always leave me with a pimple or 2, and several times my actual skin was removed along with the hair. Eventually, I would have to grow them out and start all over again… haven’t we all been there?…thus began my search for an eyebrow specialist. With the click of a google search, “Best Eyebrows NYC”, I found a few people on the short list. 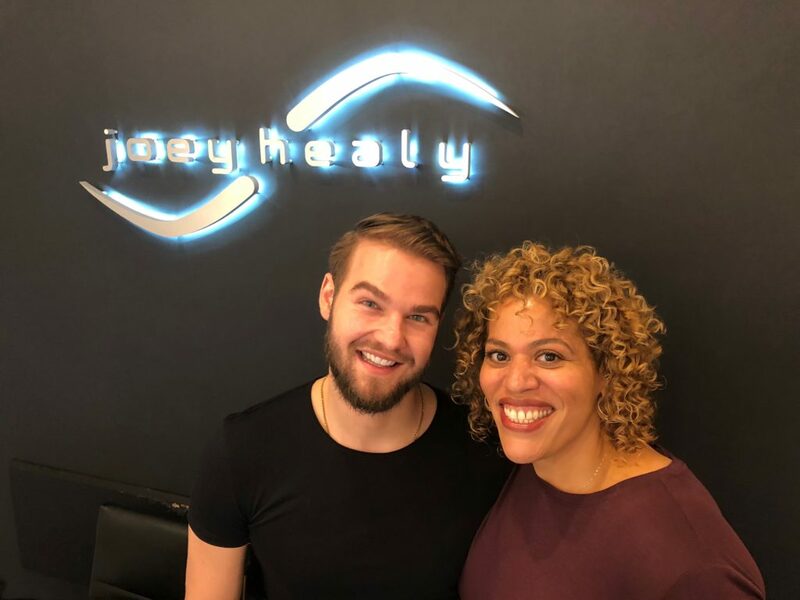 I decided to take a chance on Joey Healy Eyebrow Studio, spending a little extra dough to have my brows done by Joey himself…and he has forever changed my brow game. No 2 brows are the same, and Joey really studied my face to make sure they were artfully balanced. Since he uses tweezers and scissors only…no wax, pimples or irritation are a thing of the past. My initial thought was $135 for eyebrows that’s crazy!…but when I realized that I no longer had to go every week for $25, but instead only every 2 months, I would be spending much less for an infinitely better result. Joey is extremely passionate about the brow, and will help your brows to reach their full potential. If you are in NYC, he is a must to have on your beauty team…because you know it takes a village. I asked Joey a few questions about his love of eyebrows and his process…see interview below. M: What makes you so passionate about eyebrows, why not hair or makeup? J: “The intrigue of eyebrows is the impact that they have on the face. It is such a small feature but for me it always pulled together an entire look. When they are done well you looked rested, relaxed, younger…when done incorrectly you look angry, sad, worried, scared, aggressive….it really can change the way you look. It is a technical thing with beauty, and it holds a lot of power”. M: When you look at someone for the first time where do you start…what is your process? J: “I always ask clients, what is your brow story…because people are coming here not as a fresh brow. I like to get clear as to where they have been, looking backwards to help me understand… is this area over plucked or did you fall when you were 6 and have a scar? I start brushing through and feeling the brow bone, it is a very tactile thing. 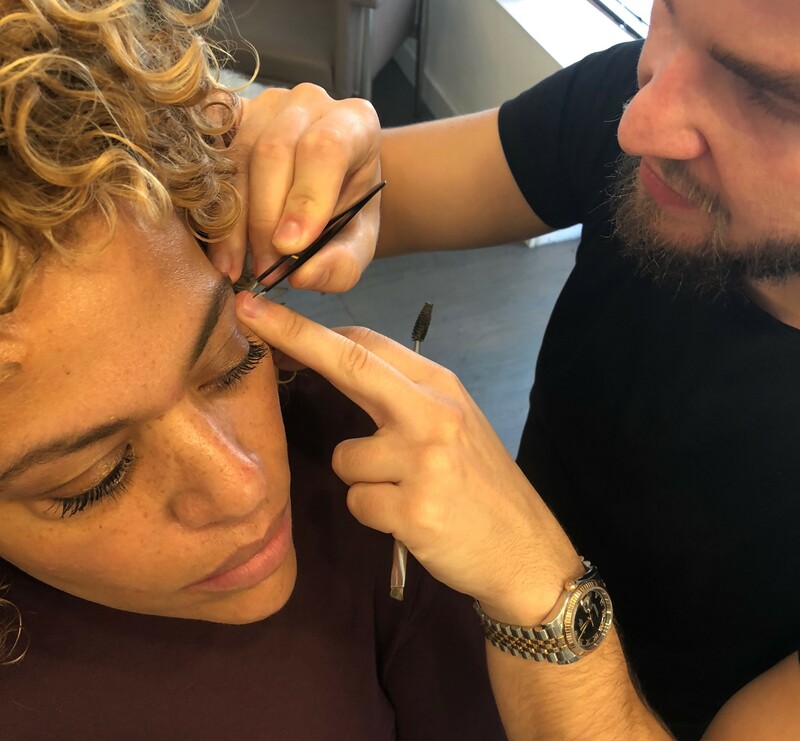 I start the tweezing process by working general to specific, so I start at the areas that are more obvious, and become more and more intimate with the brow throughout the session….it is really the last 10 minutes that are the most impactful”. M: Why Tweeze instead of wax or thread? I also asked Joey what he thought were some of the mistakes that people make when doing their brows at home… these were his top 5. Take Away: If you are going to do your brows at home make sure you have a strategy…there is a lot more that goes into the perfect frame for your face than you think. This One’s for the Curls! Ok… I love, love, love your blog. Your candidness is supreme & a force to be reckoned with… I will be in New York to visit the Hair Co… love your story & your cut!! It is the mirror of my hair & my story. I just really started to embrace my true hair story which is ultimate curls…but I lack ‘the’ cut that allows my tresses to bounce & compliment me. I am getting back into my true passion, my art, my home styling & other creativeness & blogging that I am!! Thanks soooo very much for you!!! You shine brighter than the new blue moon!!! Rock It my sista!! !